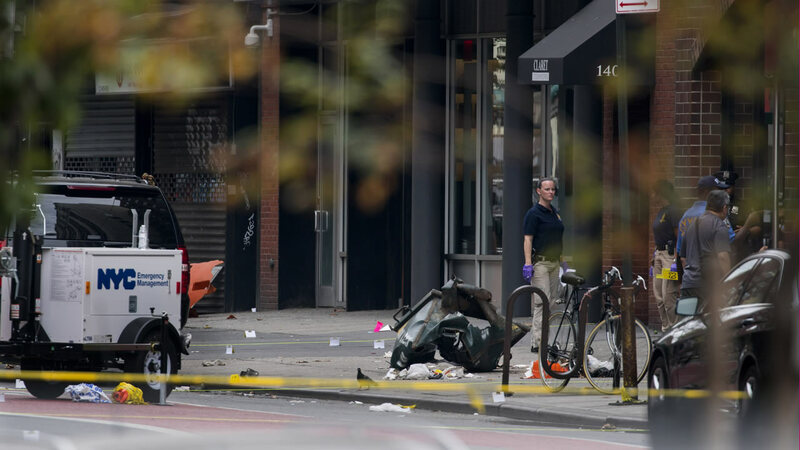 CHELSEA, Manhattan -- Sources say five people were taken into custody this afternoon in connection with Saturday's bombing in Chelsea. At 8:45 p.m., the FBI and NYPD conducted a traffic stop of a vehicle of interest in the investigation into the bombing. Police say the men were in a car stopped on the Belt Parkway. They were headed from Staten Island to Brooklyn on the Verrazano Narrows Bridge. Click here for more on the explosion in Manhattan.